The Apple iPhone 7 launch was accompanied by the launch of Apple Watch Series 2. The new smartwatch takes forward the Apple Watch, in terms of design and performance. While it sports features such as water resistance, dual-core processor, and GPS, it also happens to be a very fashionable accessory. 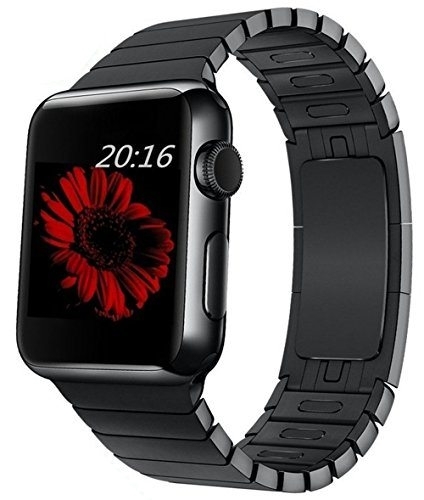 You can choose from various Apple Watch Series 2 Bands. The stainless steel Milanese loop smartwatch band looks absolutely stunning. The BRG watch band comes with adjustable magnetic closure. The stylish watch band can be easily adjusted for a perfect fit. It is priced at $39.99 and is available in 38mm and 42mm options. 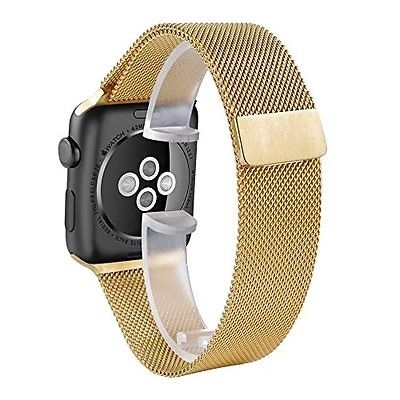 The BRG Apple Watch Series 2 Bands come in four colors: Black, Gold, Silver, and Rose Gold. The stainless steel band looks fabulous and comes at an affordable price too. The impressive design is supported by the superior finish. 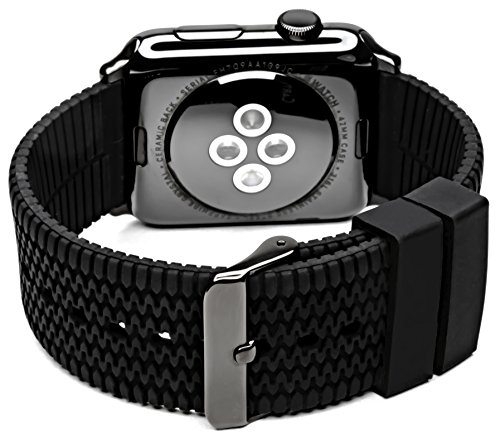 The FanTEK watch band comes with a double button folding clasp and lugs on both sides to lock the Apple Watch securely. It is priced at $21 and is available in 38mm and 42mm options. 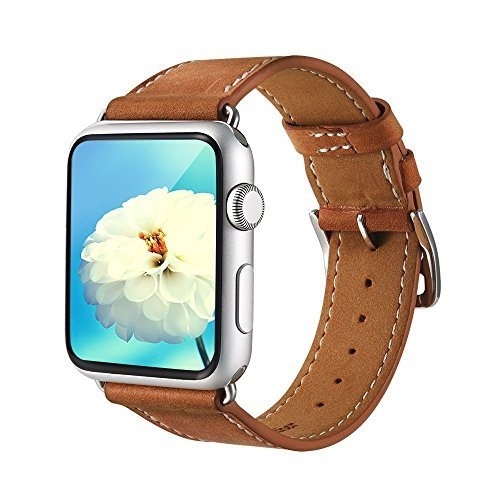 The premium looking band is made of the high-grade leather. 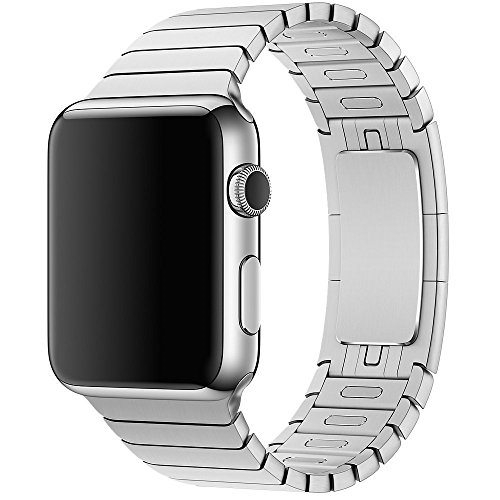 It comes with a stainless steel polished silver-colored buckle. The Marge Plus leather strap is anti-slip and sweat absorbent too. 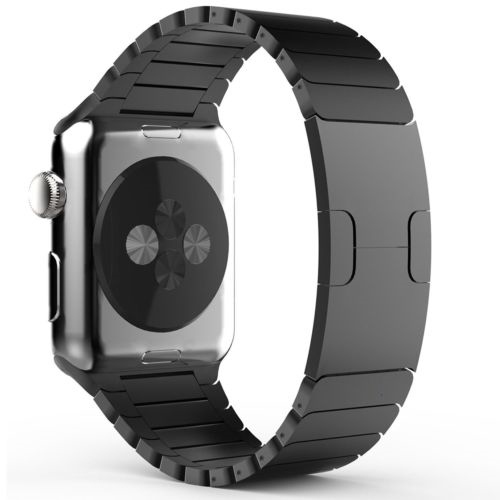 It is priced at $69.99 and is available in 42mm and 38mm options. The stainless steel watch band looks stunning. The attractive design comes with butterfly folding clasp that allows you to close it firmly. The MoKo watch band is quick to install and remove. It is priced at $49.99 and is available in 38mm and 42mm options. 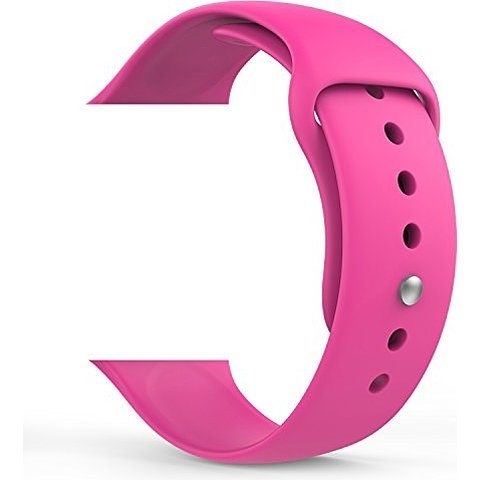 The chic looking smartwatch band is made of soft silicone material. It comes with lugs on both ends and a pin-and-tuck closure. The MoKo Soft Silicone Apple Watch Series 2 Bands comes in multiple color options. 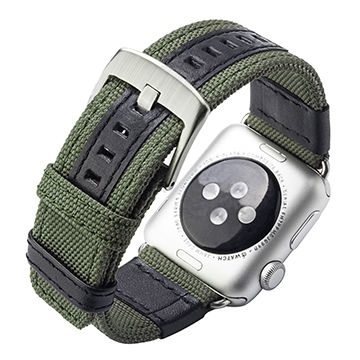 It is priced at $39.99 and is available in 38mm and 42mm options. The scratch-proof watch band is made of woven nylon, which makes it highly durable and comfortable to wear. The Benuo watch band is also sweat absorbent which means you can wear it for longer periods. It comes with sufficient holes for adjusting fit. The Benuo is priced at $42.99 and is available in 38mm and 42mm options. The stainless steel watch band sports a premium design and finish. The link bracelet comes with custom butterfly and a simple release button. The OULUOQI Link Bracelet is priced at $332.99 and is available in 38mm and 42mm options. It comes in Silver and Black color options. The sporty look watch band features exquisite pattern. It is made of silicone material. The flexible watch band is also waterproof. 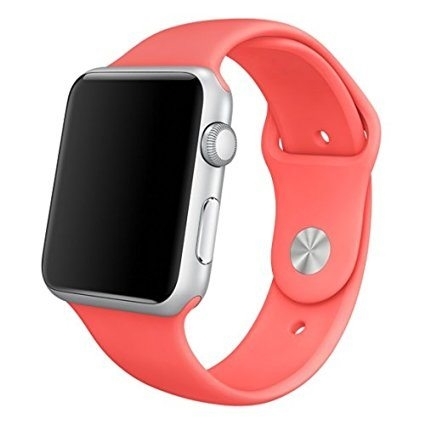 The Carterjett Sport Silicone Smartwatch Band is priced at $49.99 and is available in 38mm and 42mm options. The luxurious watch band is made from 316 stainless steel alloy material. It comes with a link bracelet that can be easily adjusted. The top4cus watch band is priced at $90.15 and is available in 38mm and 42mm options. It comes in two Silver and Black color options. The sporty watch band is made of quality silicone material. It is highly resistant to dirt and is very light. 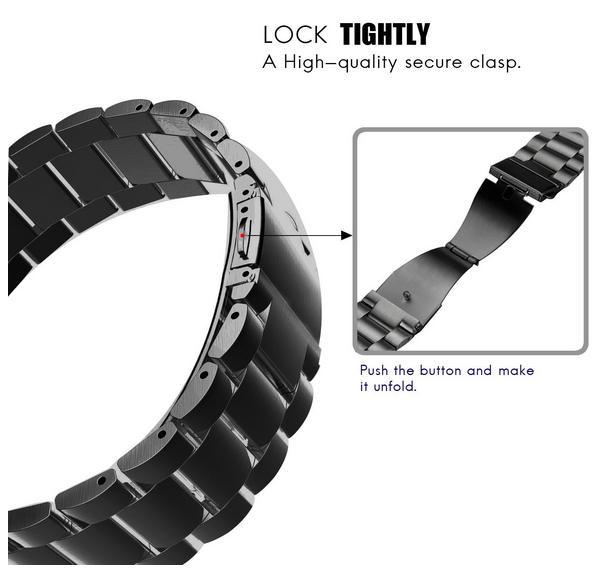 The WESHOT watch band comes with the pin and tuck closure. It is priced at $19.99 and is available in 38mm and 42mm options. Which Apple Watch Series 2 Bands do you like the best? Share with us in the comments section below. The post 10 Best Apple Watch Series 2 Bands: Choices Galore appeared first on MobiPicker.